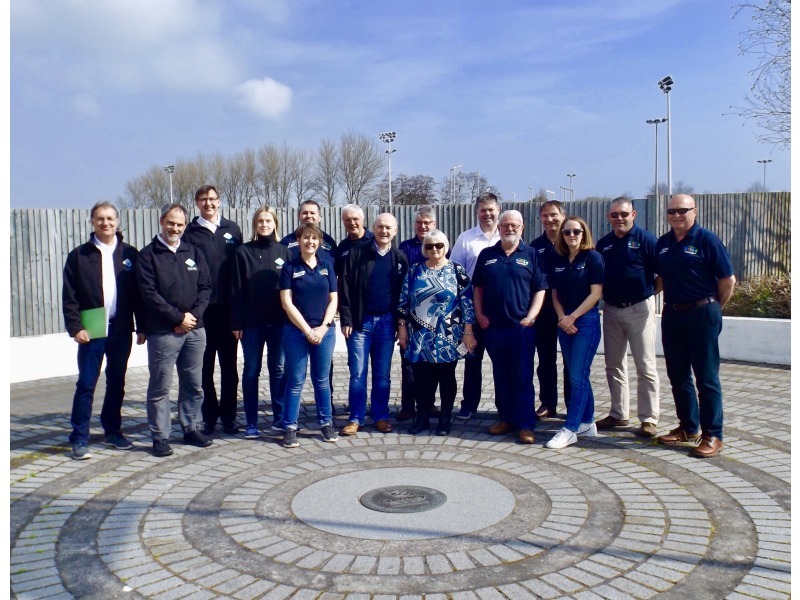 The traditional spring meeting of the IIGA Executive Committee has taken place on 22/23 March in Guernsey, the host of the NatWest International Island Games in 2021. – We are doing everything that is possible in order to make every single one of our visitors feel welcome to Gibraltar. Our sport organisers are ready for an intense week of competition. – There is a genuine and inspirational interest in sport in Gibraltar which guarantees the success of the Games. Gibraltar is to be congratulated for the hard and determined work that has been done in order to be the host of the largest multisport event in Europe this year. 2,800 eco cotton drawstring bags to replace the less environmentally friendly polyester bags. 3,000 eco friendly recycled PET Lanyards. 8,000 clap banners made from recycled fully biodegradable material have replaced the traditional bang-bang sticks. 2,800 aluminium water bottles, which will be distributed to competitors and officials. During the meeting in Guernsey the IIGA Executive also discussed the organisation of the NatWest International Island Games in Guernsey 2021. The Organising Committee under the leadership of Dame Mary Perkins have worked hard in order to be ready to start their campaign immediately after the Closing Ceremony in Gibraltar on the 12th of July. – That will be the third time that Guernsey takes on the responsibility for hosting our Games. The sporting infrastructure in Guernsey is strong and the people love sports and competition which is a guarantee for success, Jörgen Pettersson comments. In 2023 Orkney is confirmed as the host island and a number of our member islands have expressed a strong interest in hosting a future Games. Discussions are underway with a number of Island Games Associations including Ynys Mon, Isle of Man, Faroe Islands and the Shetland Islands. – This is a result of a longstanding strategy where the benefits of investing in sport and youth have been made visible in the member islands, Pettersson comments. The IIGA Executive also had an update from the NatWest International Sports Development Programme where member islands can apply for funding for sports projects. So far over £190,000 has been granted to projects within the islands.